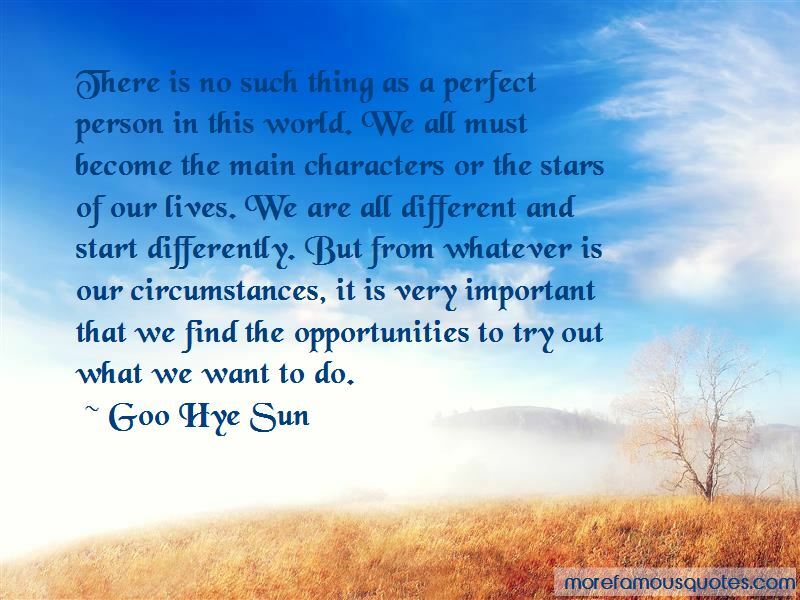 Enjoy the top 3 famous quotes, sayings and quotations by Goo Hye Sun. There is no such thing as a perfect person in this world. We all must become the main characters or the stars of our lives. We are all different and start differently. But from whatever is our circumstances, it is very important that we find the opportunities to try out what we want to do. In the past, I used to think that it is fundamental and natural to have everything. But I realized that is not true. Instead I realized that those are things to be grateful for. After that realization, I became comfortable. Even if I don't have it I am grateful. 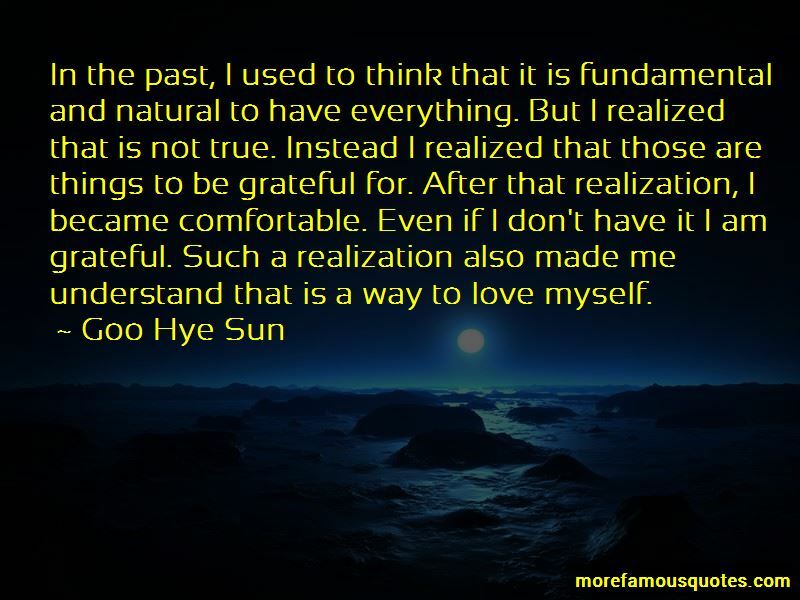 Such a realization also made me understand that is a way to love myself. Want to see more pictures of Goo Hye Sun quotes? 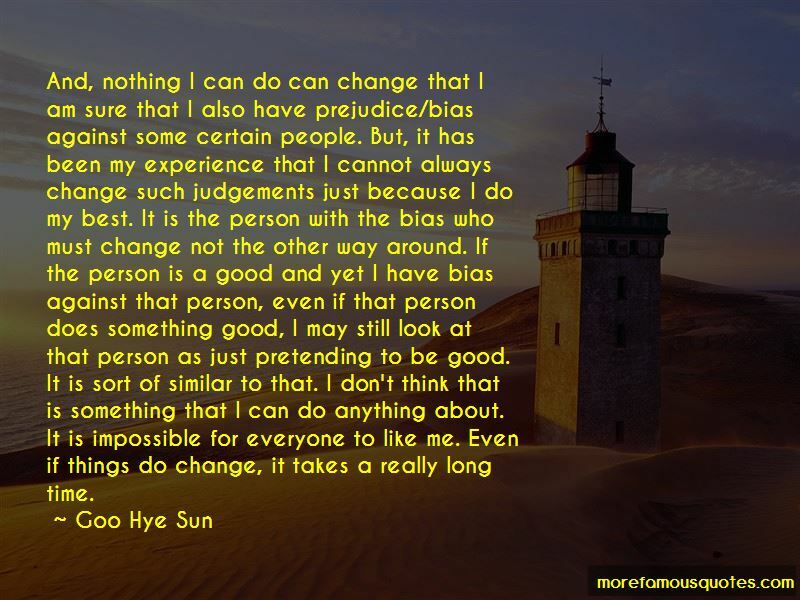 Click on image of Goo Hye Sun quotes to view full size.